Chelsea have reportedly agreed terms ​terms with Juventus to sign Gonzalo Higuain on an initial six-month loan deal. The Argentina international is currently on loan at AC Milan, having been been deemed surplus to requirements by La Vecchia Signora after they signed five-time Ballon d'Or winner Cristiano Ronaldo from Real Madrid. 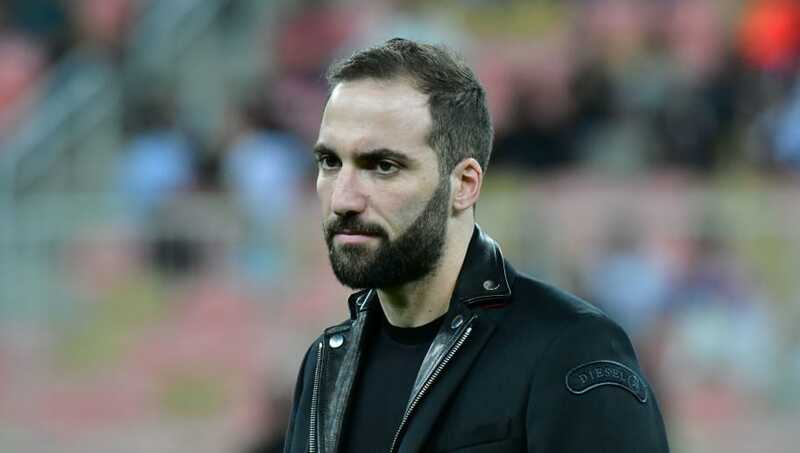 According to Sky Sport Italia journalist ​Fabrizio Romano, Higuain will join ​Chelsea on an initial six-month loan deal, which could then be extended by an extra year provided he meets unspecified goals and appearances targets. With Gonzalo Higuain said to be keen on the move to Stamford Bridge, the move reportedly just needs the approval of AC Milan before it can be made official. I Rossoneri spent £14m to bring the forward to San Siro in the summer on an initial one-year loan deal, with the option to sign him permanently for a further £32m. Higuain endured a difficult spell in Milan, scoring a measly eight goals in 22 appearances in all competitions. Prior to this however, the 31-year-old had been one of the most feared strikers on the peninsula, having scored 146 goals during his five years at SSC Napoli and Juventus. The Argentine striker is reportedly keen to play under former Napoli manager Maurizio Sarri once again. Under the guidance of Sarri, Higuain scored a record 36 goals in 35 Serie A games in the 2015/16 season; a return which earned him a £75m move to Juventus.